What a year! I've been rather remiss in keeping the weekly posts going this year and I apologize for that. A variety of variables have contributed to this, but I hope to be more faithful in 2018. I'm not allowed to post my usual list of favorite poetry books of the year, so I'll have to skip that this time. [I'm on the Caldecott committee which has been an amazing and wonderful experience, but also imposes strict limits on discussing picture books in any public venue.] But look for my "sneak peek" list in January-- I'll be posting my usual list of poetry for young people set to be published in 2018. Poetry has the ability to create entire moments with just a few choice words. The spacing and line breaks create rhythm, a helpful musicality, a natural flow. 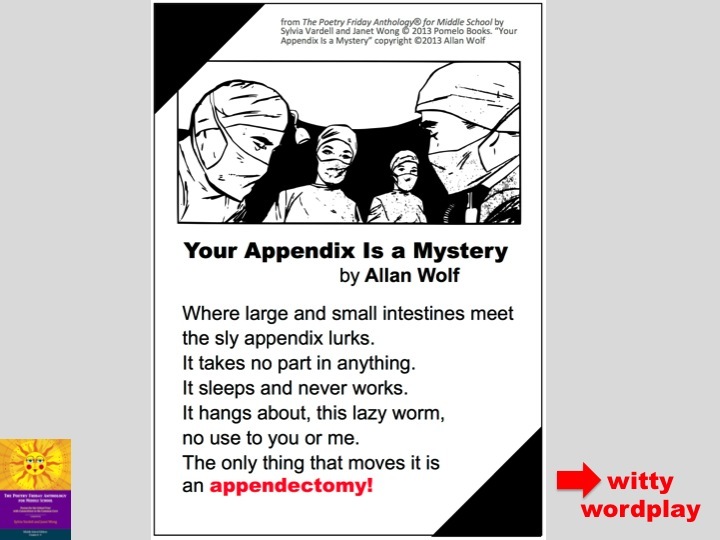 The separate stanzas aid in perpetuating a kind of incremental reading, one small chunk at a time. And the white space... adds breathability to a seemingly suffocating task. His latest book, Long Way Down, is a powerful novel in verse and was on my Christmas wish list (and I got it!). Can't wait to read it! 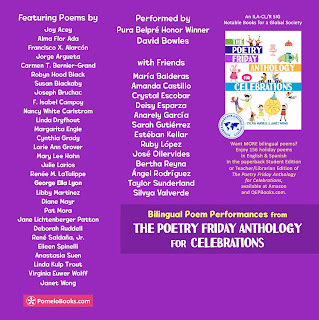 Meanwhile, check out the "best lists" of poetry at Nerdy Book Club and the Cybils Award site (announced on January 1). I look forward to seeing which poetry books pop up on other award and "best" lists soon. Happy new year in poetry! 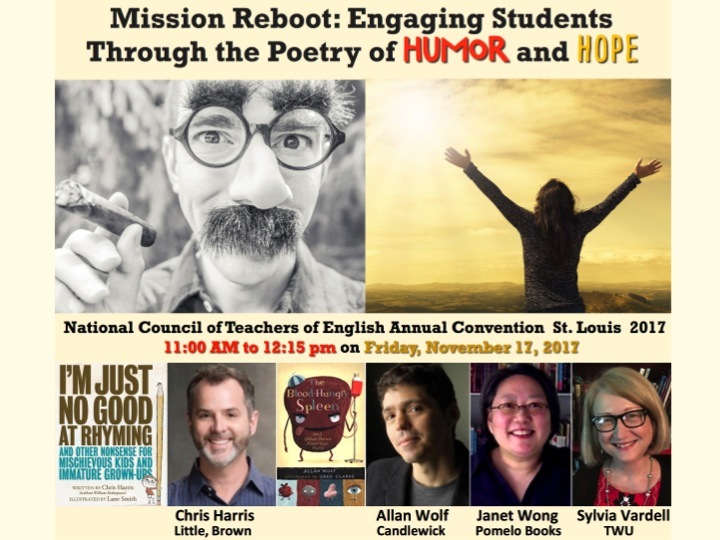 I'm presenting at the annual conference of the National Council of Teachers of English this week in St. Louis. This is always such a great conference full of people who love books, reading, language, and POETRY! (If you've never attended, I urge you to consider it. I've been going nearly every year for 35 years!) This year, I'm presenting along with Janet Wong, Allan Wolf, and Chris Harris. 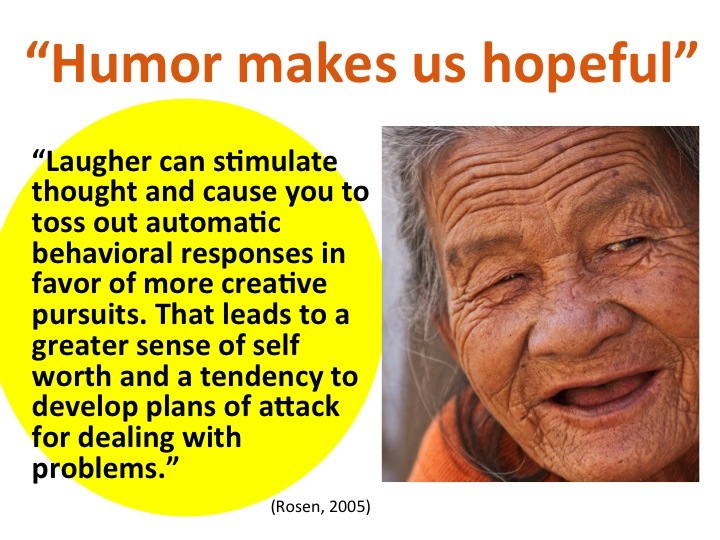 Our topic is Mission Reboot: Engaging Students Through the Poetry of Humor and Hope. Here's our session proposal with some great background info. 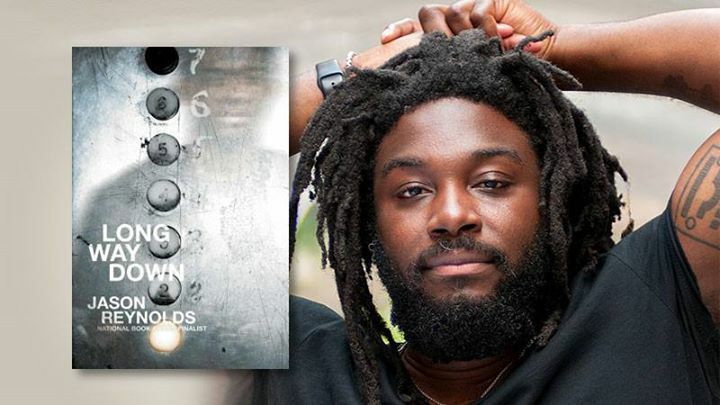 We are experiencing a renaissance in poetry with greater interest in poets, poetry books, poetry jams and slams, poetry websites, National Poetry Month, and more. Why? What does poetry do for us? 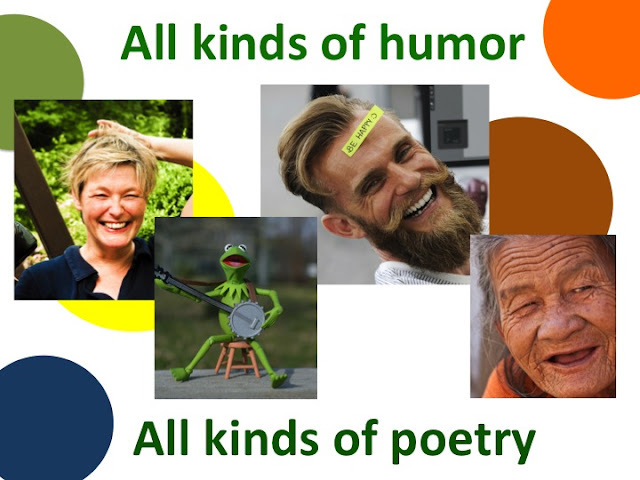 Cullinan, Scala, and Schroder (1995) remind us that “poetry is a shorthand for beauty; its words can cause us to tremble, to shout for joy, to weep, to dance, to shudder or to laugh out loud.” In particular, young people respond immediately to the humor and relevance of contemporary poetry. They enjoy the obvious slapstick laugh, as well as dark and twisted humor, witty wordplay, playful puns, and everything in between. In fact, you’ll find Shel Silverstein’s landmark books, Where the Sidewalk Ends, A Light in the Attic, and Falling Up, in the top 100 best-selling children’s books of all time. Plus, early studies of children’s poetry preferences found humorous poetry at the top of the list. 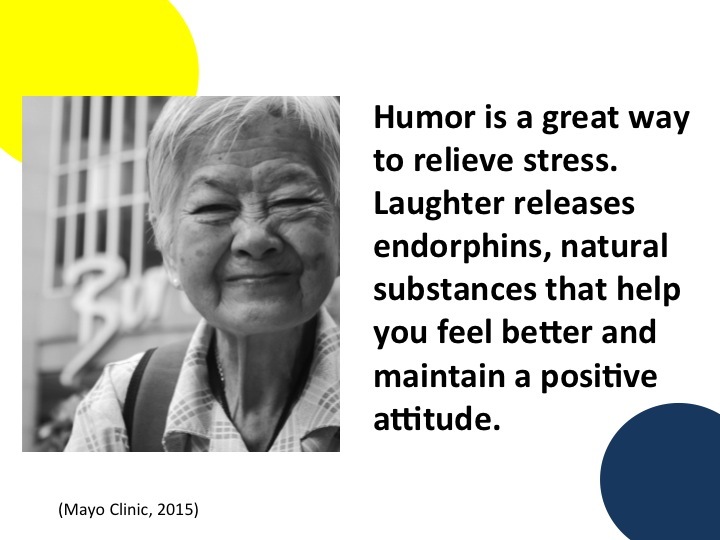 Medical research shows us that laughter has many positive physiological and psychological effects on us—reducing stress, increasing infection-fighting antibodies, improving blood flow, and enhancing wellness, relaxation, mood, and positive outlook. We can all benefit from the leaven of laughter through poetry. Now head on over to Rain City Librarian, where Jane is gathering the Poetry Friday crowd! A few weeks ago, Kathy Temean posted a lovely piece on her blog, Writing and Illustrating, (THANK YOU, Kathy!) about Pet Crazy, my latest production with Janet Wong. We promised three lucky people (commenters, tweeters, posters) 2 free copies of the book and we have 3 winners! Congratulations! Your books will be on their way to you shortly! 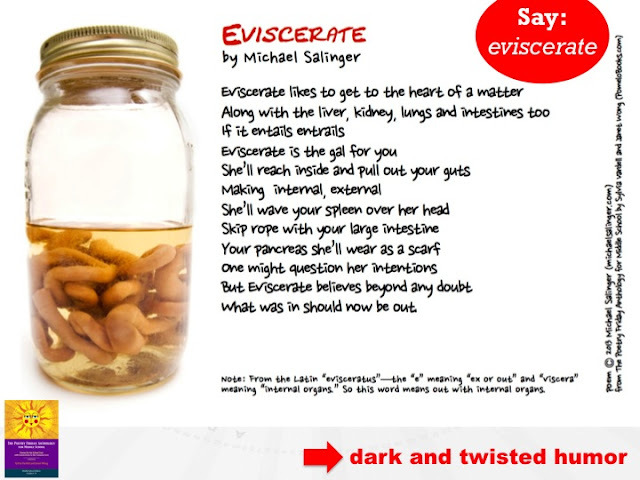 Meanwhile, if you missed my list of Halloween poetry books a few years ago, here's that link. Hemphill, Stephanie. 2013. Hideous Love: The Story of the Girl Who Wrote Frankenstein. New York: HarperCollins. Vardell, Sylvia and Wong, Janet. Eds. 2015. 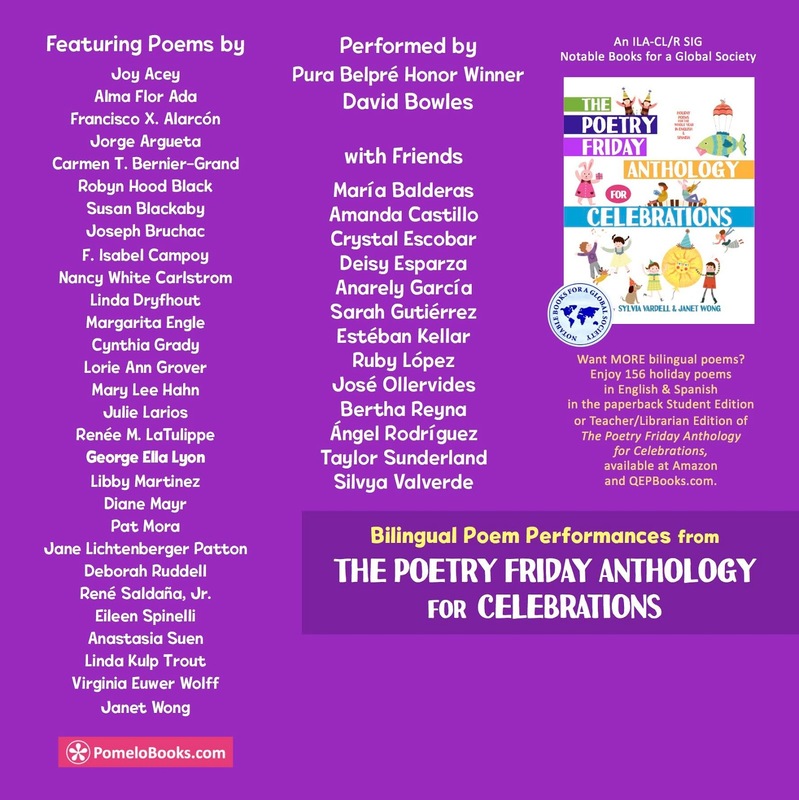 The Poetry Friday Anthology for Celebrations. Princeton, NJ: Pomelo Books. Yolen, Jane and Lewis, J. Patrick. 2017. Last Laughs: Prehistoric Epitaphs. Ill. by Charlesbridge. Do you have a birthday that dovetails with a major holiday? If you do, you know how it feels to be torn about which to celebrate and a little bit overlooked as people focus on the holiday and not your birthday (says the girl with the Christmas-y birthday!). That's one more reason to enjoy this poem by Joan Bransfield Graham from The Poetry Friday Anthology for Celebrations. 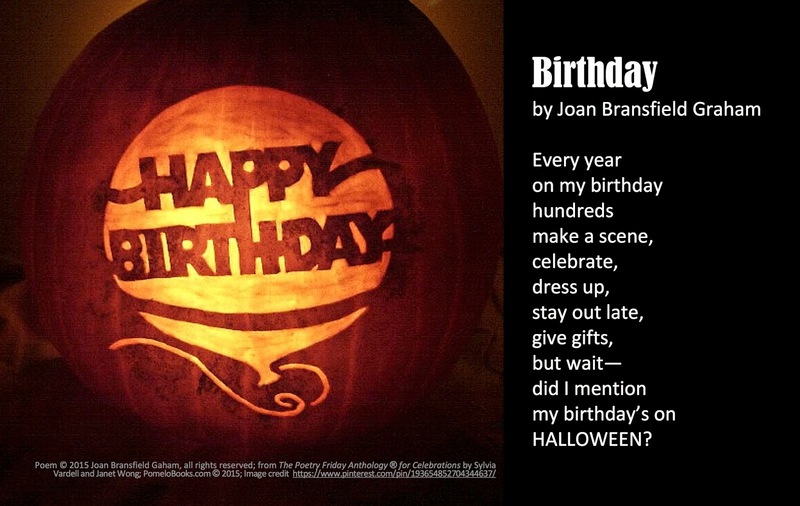 I also stumbled upon these amazing Halloween birthday celebration ideas at Pinterest here. Check them out! 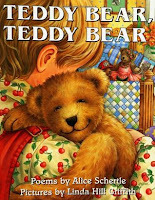 Meanwhile, head on over to Friendly Fairy Tales for more Poetry Friday fun! 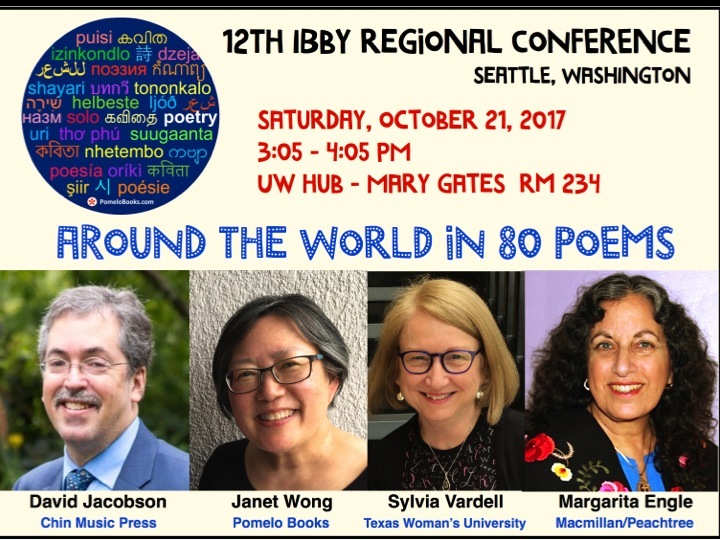 I'm attending the 12th IBBY Regional conference sponsored by USBBY (the U.S. section of IBBY) in Seattle, WA. I'm presenting with David Jacobson, author and editor with Chin Music Press, Margarita Engle, Young People's Poet Laureate, and Janet Wong, poet and collaborator. Our presentation is entitled, "Around the World in 80 Poems" (with a nod to Jules Verne). 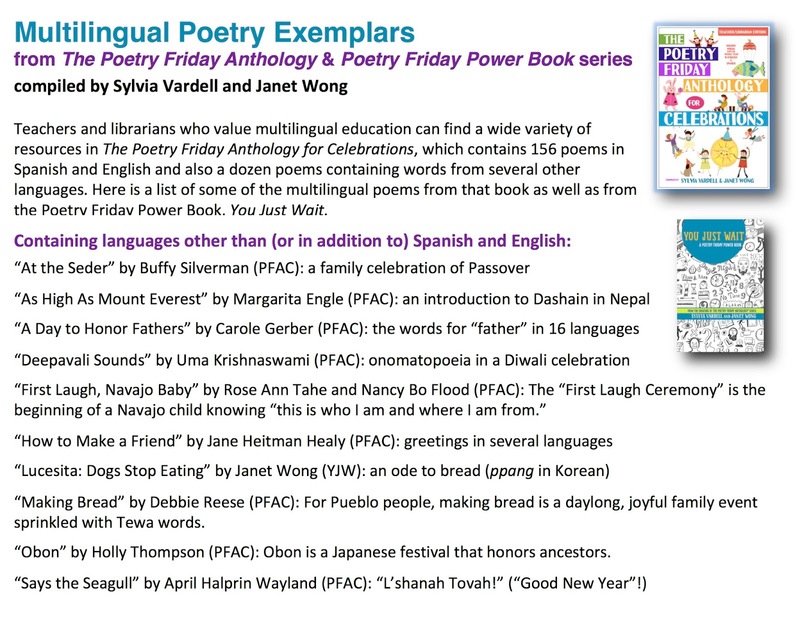 Poets, anthologists, and poet biographers are now creating accessible books of poetry that incorporate multiple languages, diverse cultural content, and a variety of forms and styles. Where can we find quality poetry for young people in print and online? 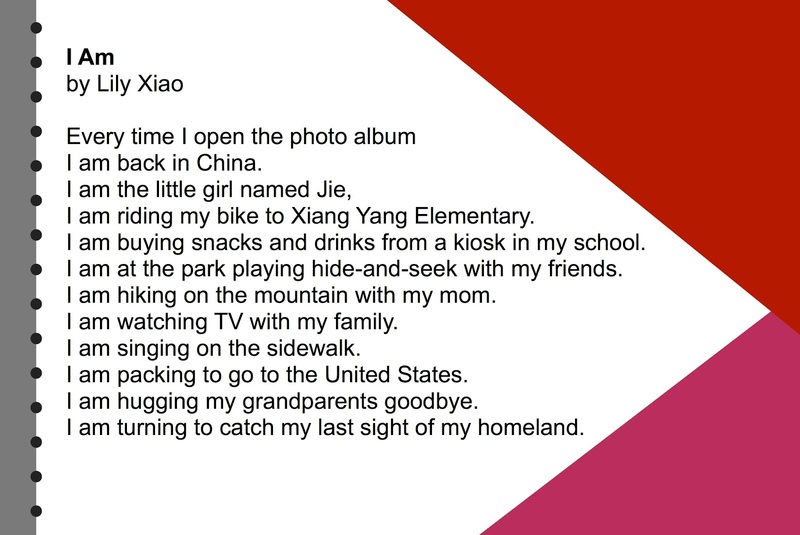 And how do we share such poetry with young people in ways that are meaningful, engaging, and participatory? Our session features classic and contemporary poetry for young people from around the world in print, app, web, audio, video, and game formats. We discussed how the powerful package of poetry can help children face life’s challenges and inspire them to work for peace and understanding. Here are some nuggets from our session. There's nothing quite like hearing poetry read aloud, is there? Especially hearing a poet read her or his work aloud or a professional narrator who infuses poetry with emotion. 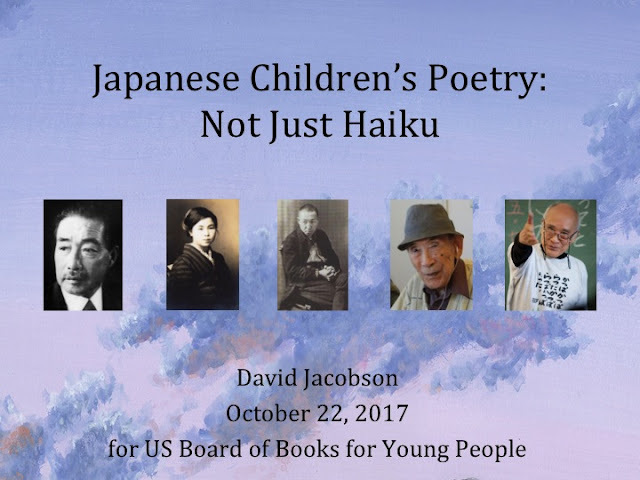 A few years ago, I posted a lengthy discussion of the power of recorded poetry as part of my presentation at the USBBY/IBBY regional conference along with Dr. Rose Brock. You'll find the whole thing here. 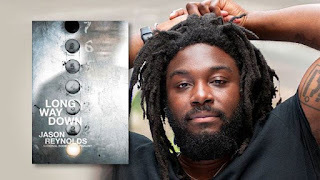 I shared ten online resources of audio poetry and a lengthy list of audiobooks of poetry that are definitely worth finding, listening to, and sharing with young people. Now, I am absolutely tickled pink to have participated in creating a mini-audiobook of poetry! 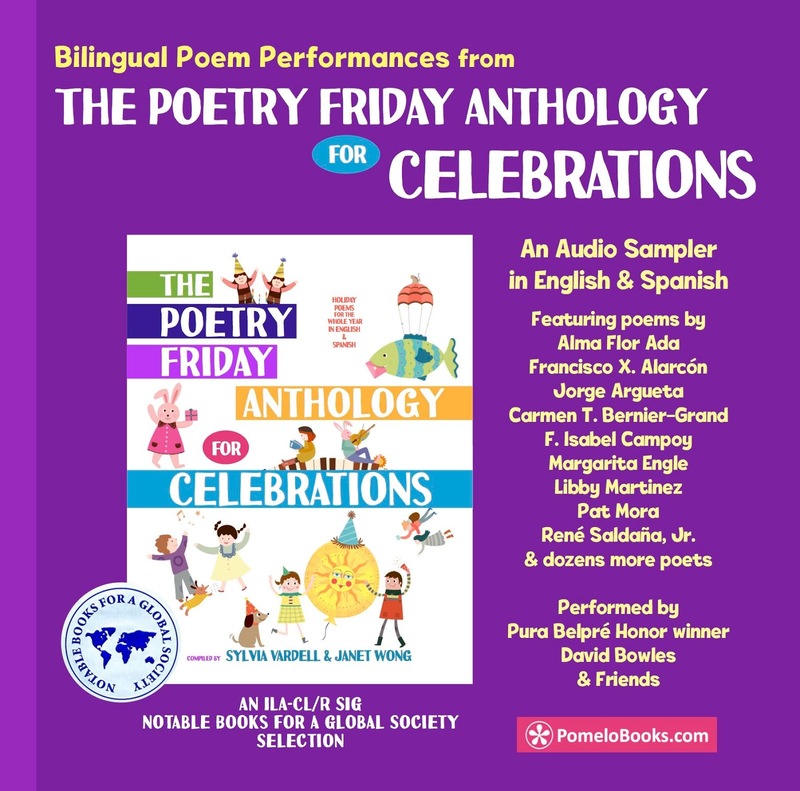 You can find 35 poems from The Poetry Friday Anthology for Celebrations in audio form for free at SoundCloud here. These same poems are also available on a CD via Amazon here (for $9). PLUS, each poem is read aloud in both English and Spanish, complete with musical introductions. 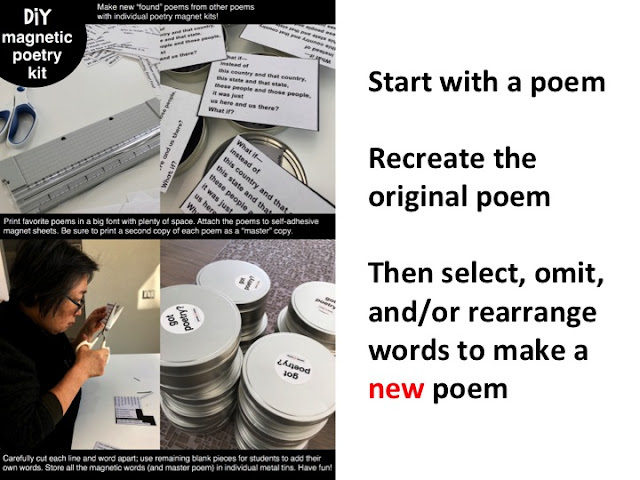 We're so thrilled to offer this alternative mode for experiencing poetry! 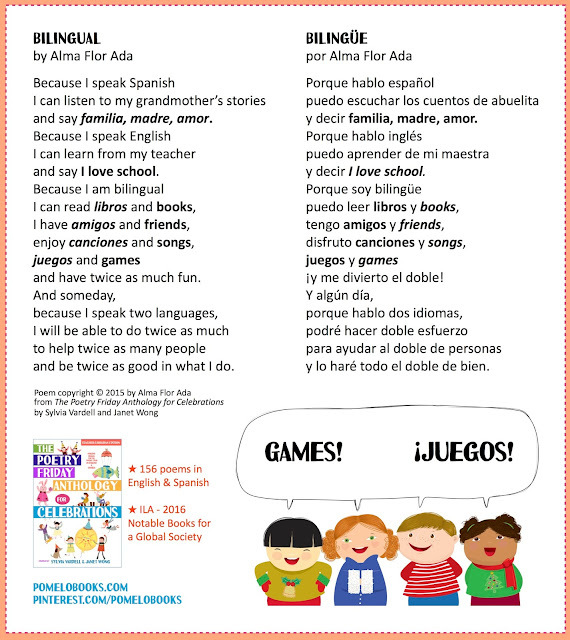 And what a great way to hear the poems in two languages! 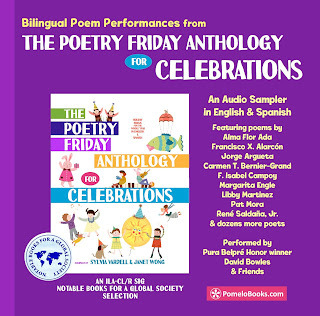 The poems were read by David Bowles and about a dozen of his college/graduate students at the University of Texas, Rio Grande Valley (native Spanish speakers). David Bowles hails from a Mexican-American family and has lived most of his life in the Río Grande Valley of south Texas, where he now teaches at the University of Texas there. His work focuses on “the crossroads of myth and legend, genre and literature” and includes a weekly book review column, several edited series, works in periodicals and literary journals, and the Pura Belpré Honor Book The Smoking Mirror. 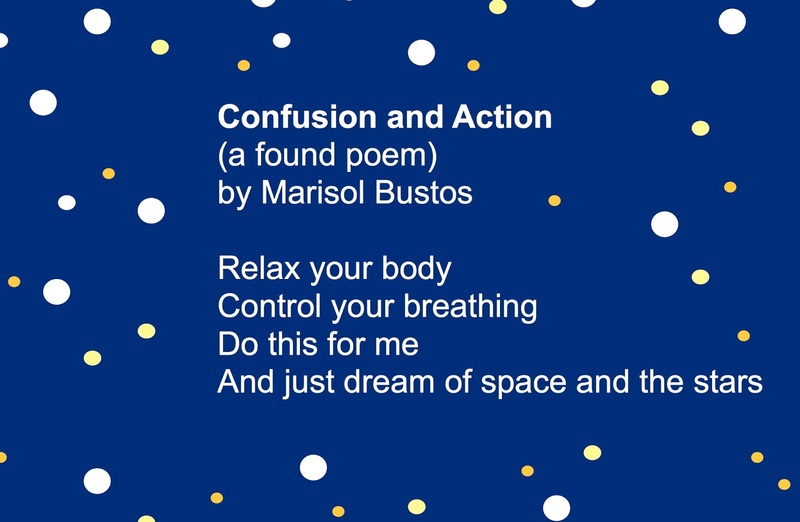 Here's one sample poem to enjoy-- and the audio recording for this poem is #6 on the SoundCloud playlist. Now be sure and join the rest of the Poetry Friday fun gathered by Violet Nesdoly's blog here. 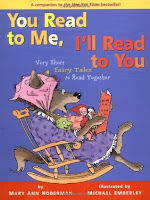 Reading Poetry Aloud… even to a rabbit! If you’ve been following my blog AT ALL, you know I am a big (huge, total) fan of reading poetry aloud. Heck, I even wrote a book about it (Poetry Aloud Here)! I believe it is the ideal way of sharing poetry with children. It builds on their oral language expertise, expands their listening skills, invites participation, models pronunciation and diction, demonstrates fluent reading, and takes very little classroom time. I could go on and on. Plus, poets always tell me that their poetry is meant to be HEARD. They choose each word, plan each line and stanza, and craft each poem for the auditory impact, as well as for meaning and emotion. But it’s so basic, that I find people often dismiss this simple practice. Please DON’T! 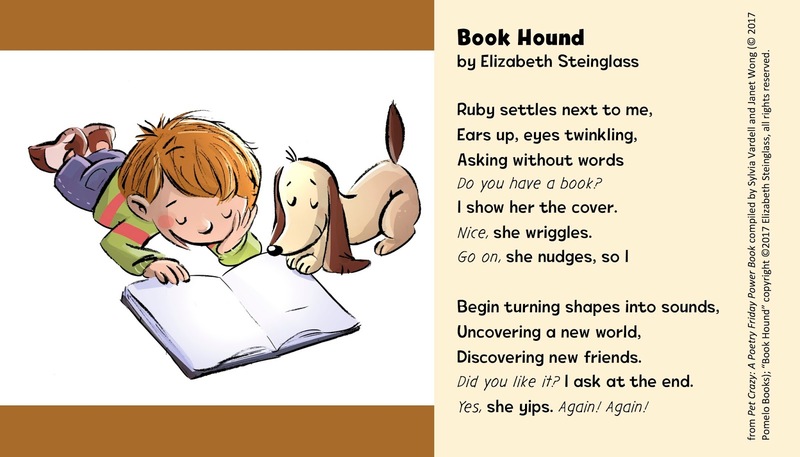 One of the reasons I love this new movement of inviting children to read to pets (therapeutic dogs and even stuffed animals) is that it focuses on reading aloud. 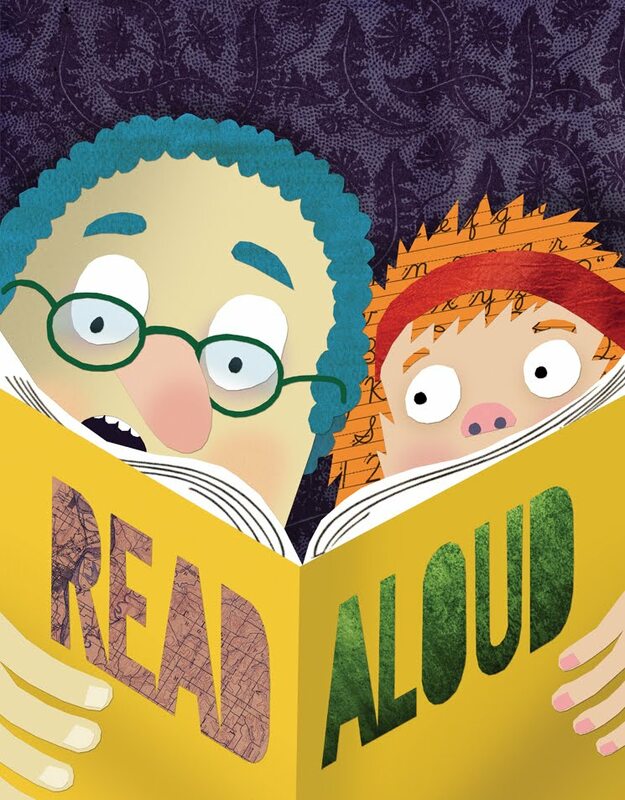 It provides such a comfortable context for kids to practice their reading aloud—especially kids who are lacking in confidence or still struggling with reading easily and smoothly. Why not incorporate poetry into this practice? 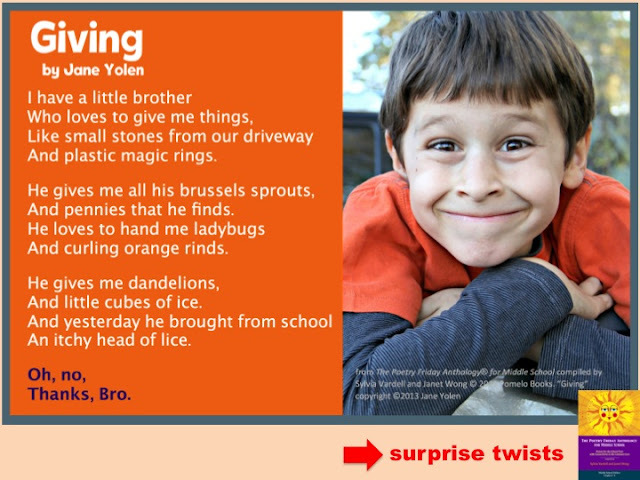 When it comes to reading poetry aloud to kids, just about any book of poetry will work—particularly if YOU enjoy it and if it’s a topic with kid appeal. Instant success! 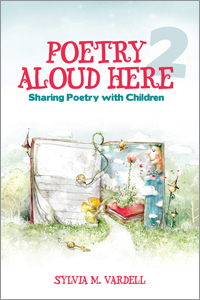 But there are some books of poetry that are planned for this purpose—designed to be read aloud and shared with a partner or group. I thought it might be fun to pull a list of those together to share here. 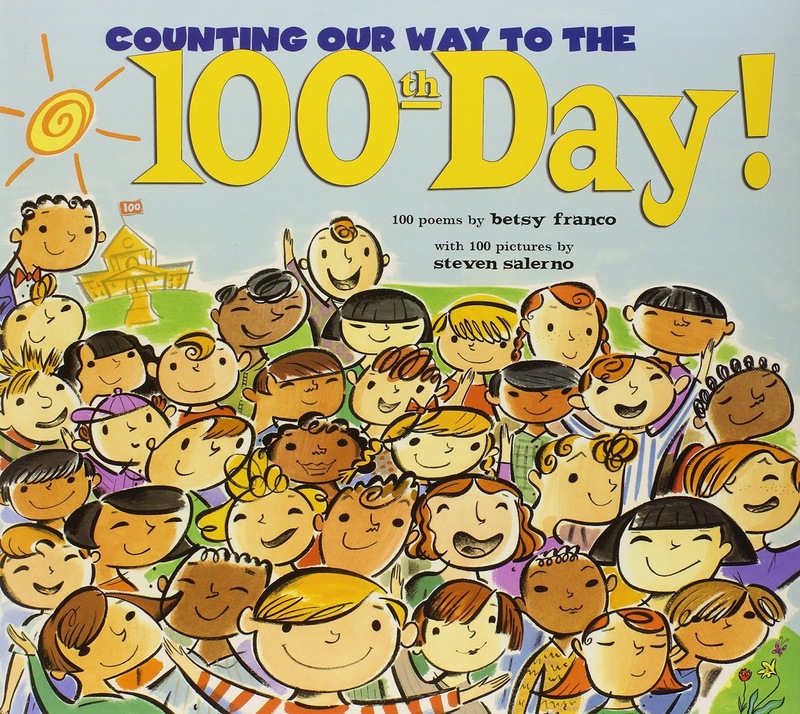 Here are 20 books with poems that beg to be read aloud—and some include action and motions, always fun! Ada, Alma Flor, and Campoy, Isabel, comp. 2003. Pio Peep! Traditional Spanish Nursery Rhymes. New York: HarperCollins. Ada, Alma Flor and Campoy, Isabel, comp. 2010. Muu, Moo! Rimas de animales/Animal Nursery Rhymes. New York: Rayo/HarperCollins. Bagert, Brod. 2007. Shout! Little Poems that Roar. New York: Dial. Calmenson, Stephanie. 2005. Kindergarten Kids: Riddles, Rebuses, Wiggles, Giggles, and More! New York: HarperCollins Publishers. Crews, Nina. 2004. The Neighborhood Mother Goose. New York: Greenwillow. Franco, Betsy. 2004. 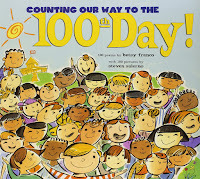 Counting Our Way to the 100th Day. 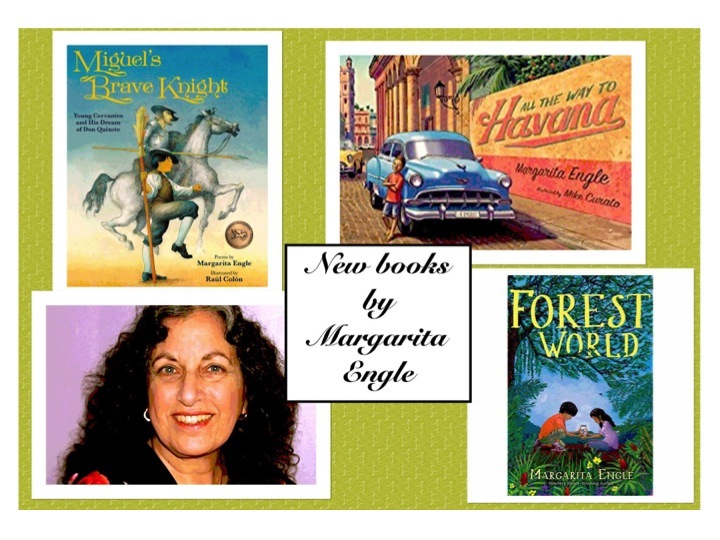 New York: Margaret K. McElderry Books. Hale, Glorya, ed. 1997. 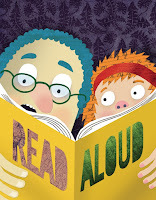 Read-aloud Poems for Young People: An Introduction to the Magic and Excitement of Poetry. New York: Black Dog & Leventhal. Hopkins, Lee Bennett, comp. 1998. 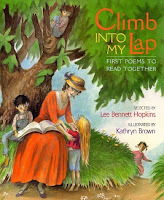 Climb Into My Lap: First Poems To Read Together. New York: Simon & Schuster. Katz, Bobbi. 2001. 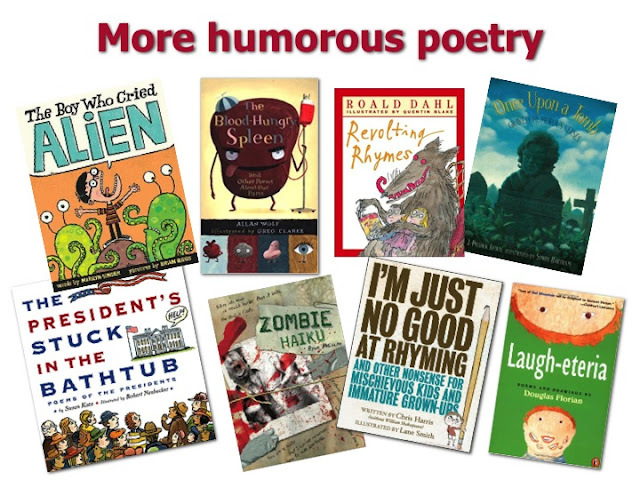 A Rumpus of Rhymes: A Book of Noisy Poems. New York: Dutton. Mora, Pat. 1996. Uno Dos Tres. New York: Clarion. Newcome, Zita. 2000. Head, Shoulders, Knees, and Toes and Other Action Rhymes. Somerville, MA: Candlewick. Schertle, Alice. 2003. Teddy Bear, Teddy Bear. New York: HarperCollins. Sierra, Judy. 2005. Schoolyard Rhymes: Kids’ Own Rhymes for Rope Skipping, Hand Clapping, Ball Bouncing, and Just Plain Fun. New York: Knopf. 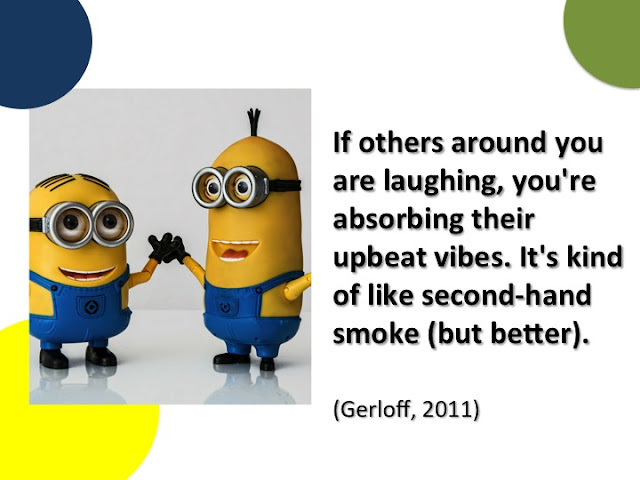 And for a more advanced group, don’t forget to try poetry for multiple voices. 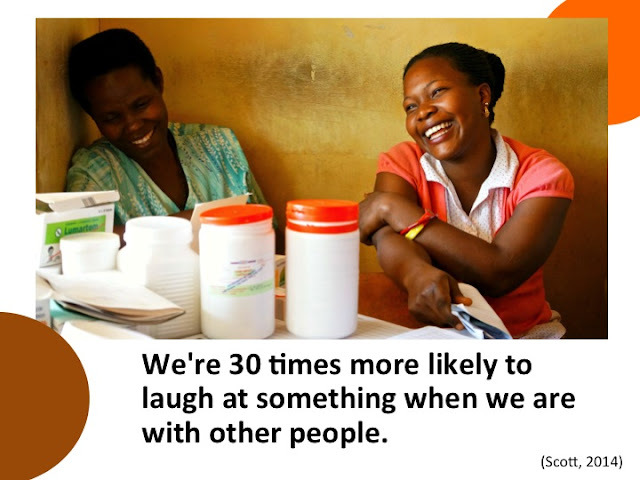 This takes a bit more planning, but can be so enjoyable and meaningful! Fleischman, Paul. 1985. I Am Phoenix: Poems for Two Voices. New York: Harper & Row. Fleischman, Paul. 1988. 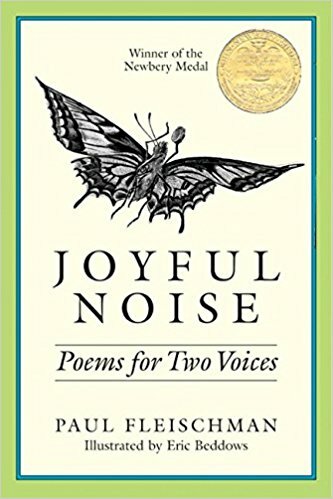 Joyful Noise: Poems for Two Voices. New York: Harper & Row. Fleischman, Paul. 2000. 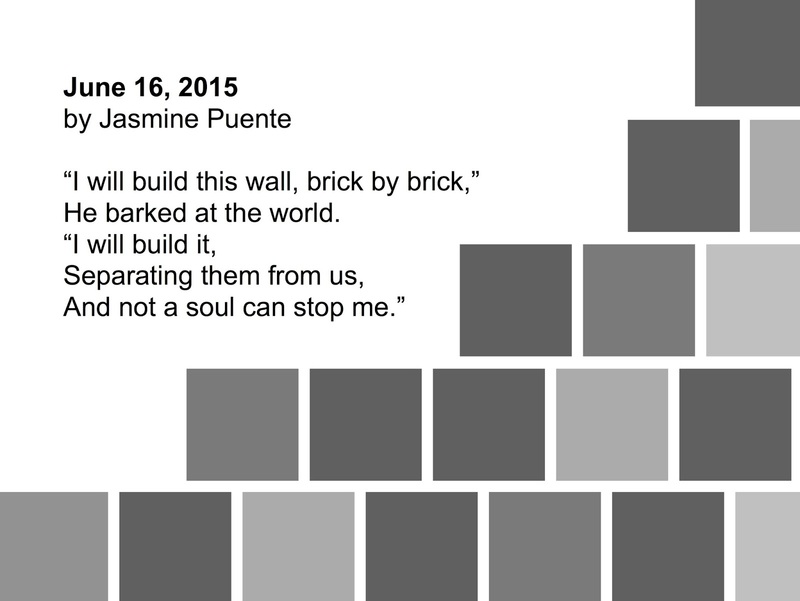 Big Talk: Poems for Four Voices. Somerville, MA: Candlewick. Harrison, David L. 2000. Farmer’s Garden: Rhymes for Two Voices. Honesdale, PA: Wordsong/Boyds Mills. Pappas, Theoni. 1991. Math Talk: Mathematical Ideas in Poems for Two Voices. San Carlos, CA: Wide World Publishing/Tetra. For more tips on reading poetry aloud, check out Paige Bentley-Flannery’s post at the ALSC blog here. Janet wrote a wonderful response poem to Liz’s poem about reading to a rabbit! 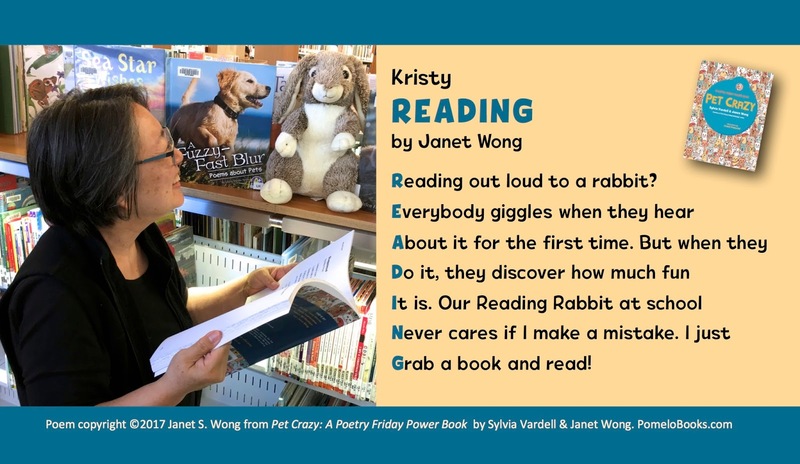 And when Janet and I found a “Reading Rabbit” that you can record a message on (to have the Rabbit “speak” to you), we went bananas! (Or should I say, “we went carrots!”?). We bought that Reading Rabbit, recorded a special message, and in honor of our pet theme, we are sending that Reading Rabbit—to one of the people who helped us spread the word about our Nerdy Book Club post and our PET CRAZY book. After gathering all those names (thank you ALL so much! ), we drew one name and the winner of our special Reading Rabbit is…..
Congratulations, Allison! We’ll be mailing our Reading Rabbit to you shortly! 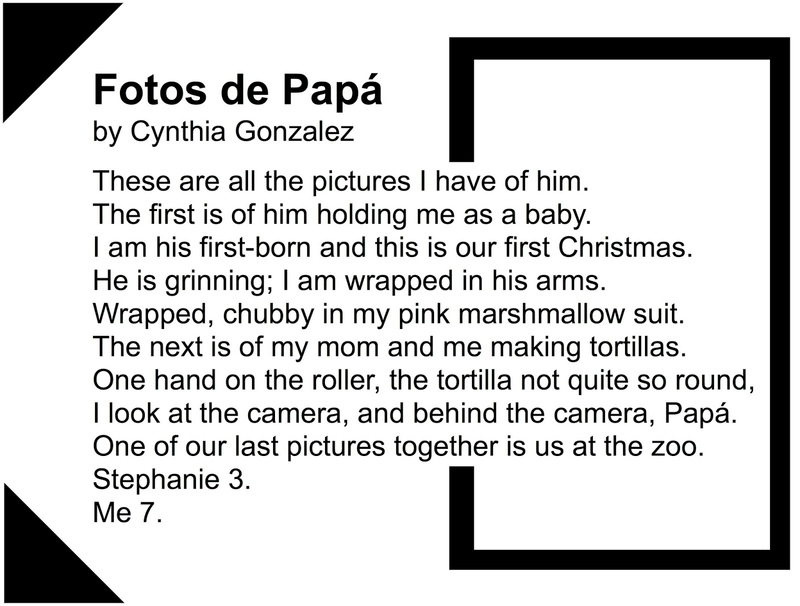 We hope you and your students have a great time reading poetry aloud to RR—and we’d love to see some photos, if you have time! 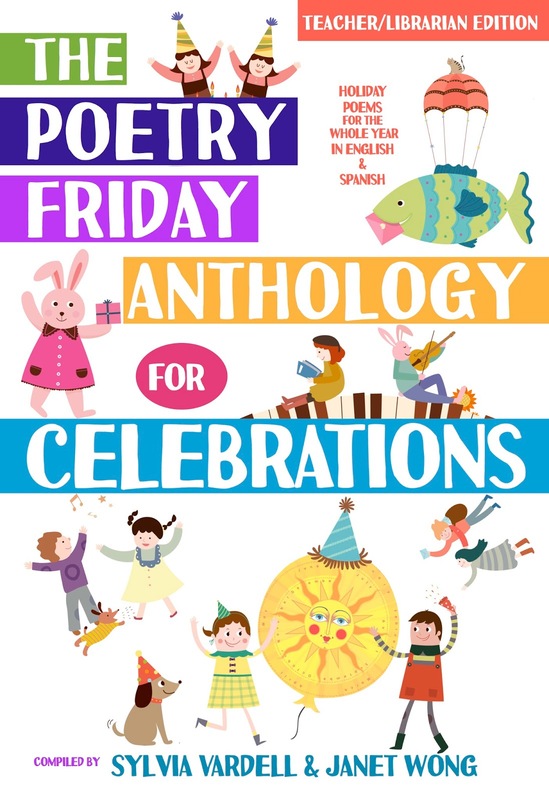 Meanwhile, join the rest of the Poetry Friday crew over at Today’s Little Ditty where the wonderful Michelle Heidenrich Barnes is hosting our gathering! Guest post: Don't Be Fooled by René Saldaña, Jr.
Today’s blog post is a guest post by my friend and colleague, René Saldaña, Jr. It’s such a treat to host him, his teaching, and his students. First, a bit of background: René Saldaña, Jr., is the author of several books for children and young adults, among them The Jumping Tree, A Good Long Way, Heartbeat of the Soul of the World, and A Mystery Bigger than Big, the 4th installment of his bilingual Mickey Rangel mystery series. 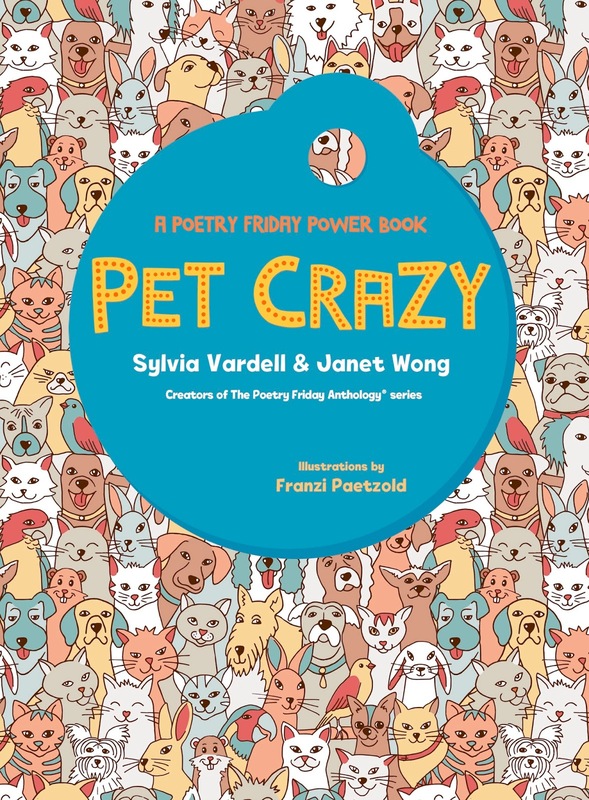 In honor of pets and in celebration of Sylvia and Janet's latest Poetry Friday Power Books, Pet Crazy, here is a list of his own: Sadie and Chito (dogs) and Gordon, Cotton, Jet, Dottie, and Raisin (all cats). He is associate professor of Language, Diversity, and Language Studies in the College of Education at Texas Tech University. Here René writes about the evolution of his teaching and shares (with permission) some of the work his students created this summer. Enjoy! A Meandering Piece by René Saldaña, Jr. Throughout my six years teaching reading and writing in a secondary language arts classroom in Texas, one of the biggest beefs I had with my students on the whole was that they didn’t pay attention: to me, to instructions, to the world around them. A shame, because if only they had, I would tell them, your writing would be that much better. “All you have to do is to pay attention, observe, just take care to notice stuff.” So much world wasted on the young. Oh, in my arrogance (I had only just graduated with a masters in literature and boy did I know it all, and way more where my students were concerned!) I refused to give them the benefit of the doubt; instead I pulled a Ruby Payne before Ruby Payne existed as such and sought to blame the kids’ culture of poverty for their lack of willingness to learn. To simply sit back and listen to me teach them what I knew in my heart of hearts would show them how they could defeat this mean and ugly world that had managed to stack every card against them, etc., etc, ad nauseam. Today, a couple decades and a half later, I don’t “teach” as much as I learn to teach in the moment. I’m trying to take my own advice: to do a lot more paying attention of my own in the classroom, to the personality of this classroom compared to the next and the following and adjusting my approaches, observing the individual student to see what he or she will teach me about teaching, planning for tomorrow only after a long day based on how it went today. I’m more chill today. No less rigorous and my expectations are just as high as before if not more so. But the gray hair has set in on my beard and head, I move slower (or smoother depending on the perspective), I prefer the organic nature of teaching. Here’s a bit of what I’ve learned. It wasn’t that they weren’t paying attention; in fact, they were paying very careful attention. It had more to do with my teaching, which is to say, I really wasn’t, teaching that is. I stood in front of the classroom, center stage droning on about one thing or another, expecting them to just get it, and if they didn’t, it had more to do with them and their ill-educated parents who cared little about their children’s academic success than with me. After all, wasn’t it I who showed up every morning ready to teach their children, “on the front lines,” we described it as. I had been one of them, literally: I had graduated from this very district years back, had left for college, left the state, as a matter of fact, made it through a bachelor’s and a master’s. I knew what was best for them. What I didn’t know was how to teach them, how to reach them. Nowadays, I own that I don’t know jack about teaching, despite years doing it at the secondary and university levels, and in a college of education for the past 10 years no less (don’t believe me? I’ve got the lapel pin to show you if you need proof). I have learned a few things, chief among them, young people do pay attention to me (I like to tell myself this at least), to the instructions I give them (today more about inquiry than passively taking in what I dish out), and to the world around them. They’ve actually been paying very careful attention. All they need to show us how much they have been doing so is to provide for them a venue: and poetry—the reading of it, and the writing of it, especially—is just such a venue. This past summer, I worked with a group of rural kids from West Texas on their reading and writing skills. You see, they’re supposed to be behind their other Texan counterparts in urban and suburban areas. They’re from little towns like Morton and Whiteface, from farming and ranching families, most of them Mexican American. Most of them multi-generational. Many of them will not leave their small towns. Or maybe they will, and this is one of the hopes for this Upward Bound program I’ve gladly attached myself to. 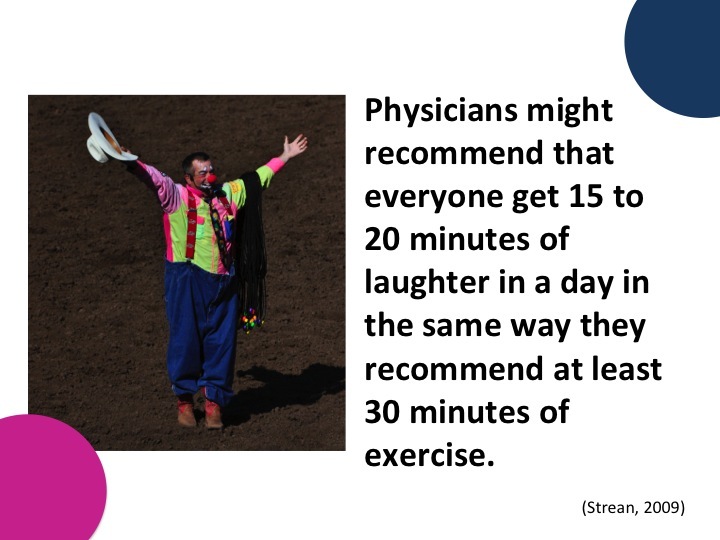 The director tells me, “Dr. Saldaña, you have free reign; teach them something about writing.” He might think this lessens the burden for me. On the contrary, the load is made heavier. 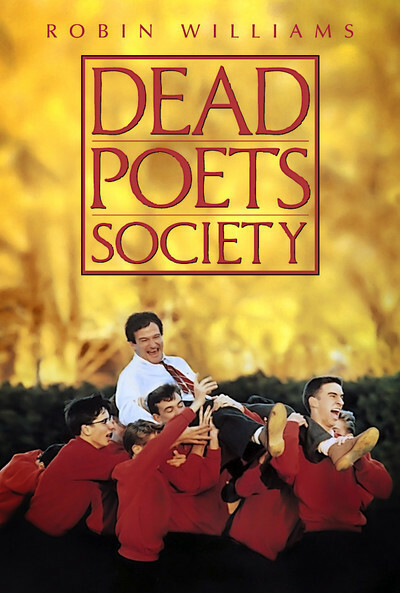 If I had a curriculum dictated to me, I would follow it, I could blame it if things went awry, I could empathize with the students if it got boring: “It’s not me, it’s this blasted curriculum.” I’d want to act like the Robin Williams character in Dead Poet’s Society and call for a sort of academic revolution: “All of you, tear that ultra-prescriptive syllabus into shreds.” We’d litter the floor in shorn paper. On my way out the door, kids would jump up on the desk one by one and salute me, “O, Captain, My Captain.” But no, I have to create the syllabus myself, the daily lessons, confer with students to assess their progress. All the things of teaching. It’s a big deal, really. Daunting. So this summer I went with poetry. 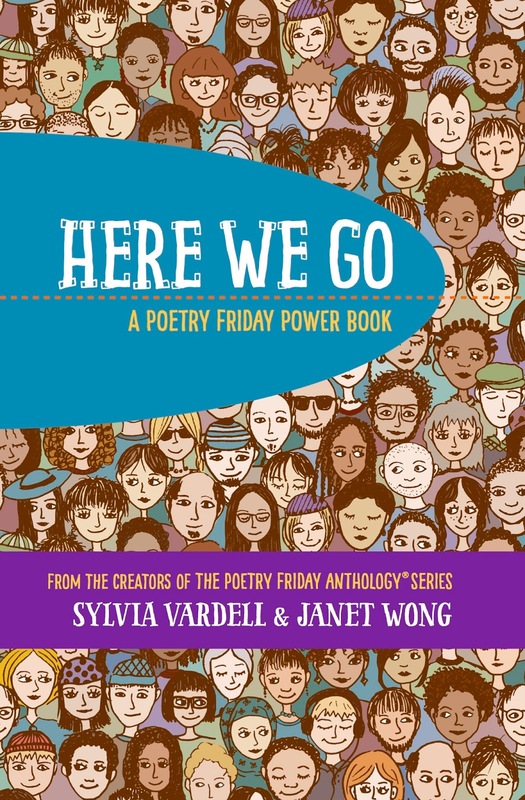 I’d only recently read Sylvia and Janet’s Here We Go, their second in the Poetry Friday Power Book series, not quite how-to books but rather experience-doing-poetry books, first hand. I also planned a culminating assignment: they were to perform one original piece at the end of our time together. This was the scarier part for a good many of the students, some thirty in all. We read from the book, we did from the book, I read aloud the work of Josephine Cásarez, a beautiful San Antonio poet whose work demands it be performed (“Up Against the Wall” (1993) and “Me, Pepa Makes It Big” (1995)), we deconstructed what I think is one of history’s best haiku, “A Leaf Falls” by e.e. cummings, and we studied found poems and Golden Shovel poems, and more. Then we drafted and revised, workshopped, revised some more, and finally concluded with two days of performance. We set up the cafeteria at South Plains College in Levelland (TX) for the readings, and each poet came up with poem in hand and read, while the rest of us sat back and enjoyed. They wanted to snap fingers instead of clap because isn’t that how we should react to poetry? One poet wrote a piece about the day her mother died in a violent car accident. The poet had been in the car, and last thing she remembers is her mother there, then when she comes to, the mother gone literally, but also gone-gone, if you get my meaning, and hers. The audience didn’t know how to react. Not a single one of them snapped a finger for her. They were stunned at her bravery to read such a personal poem. Her voice had even quavered at just the right places. I knew the truth: she’d made up that part about the mother dying. She’d started with truth, then veered, dramatically, traumatically, created a persona, and wrote a moving quasi-apostrophe. The audience was relieved to hear my explanation. They were glad at the news, but still couldn’t find it in them to give her a hearty round of snaps. Somehow that worked better. Thank you, René, Lily, Jasmine, Cynthia, Martha, and Marisol. How lovely to spend some time with you and your summer writing. Your hearts shine through your poems! 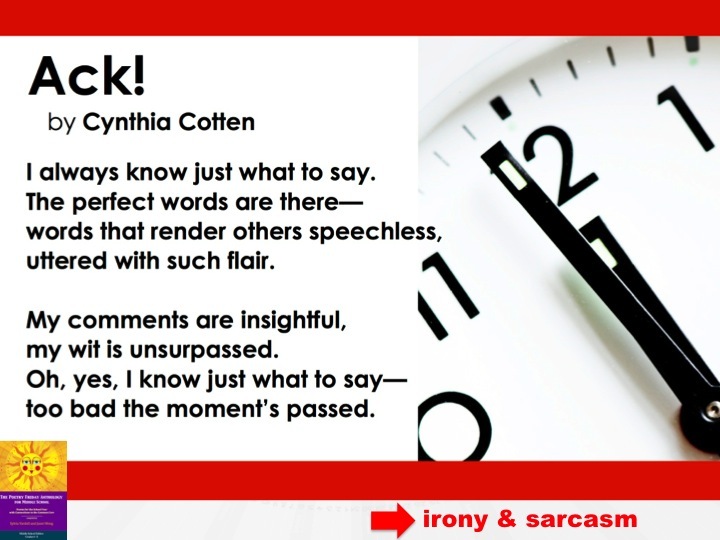 Please keep writing…. Now, look for more Poetry Friday sharing at Radio, Rhythm, & Rhyme where Matt is hosting our party and launching his own wonderful new book, Flashlight Night.